The Swagtron T3 is one of the best hoverboards you can buy today. It offers the best combination of stability, speed, and balance. 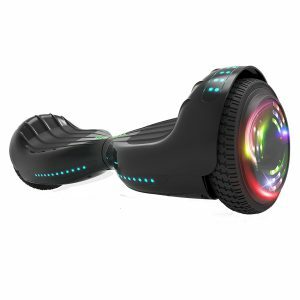 This awesome hoverboard can reach speeds of up to 8mph and reach a distance of 11 miles on a single charge. When your cruising around you will be able to rock out to your favorite music because the T3 has built-in Bluetooth speakers which plays music on the move. Its capable of handling a maximum weight limit of 220 pounds. 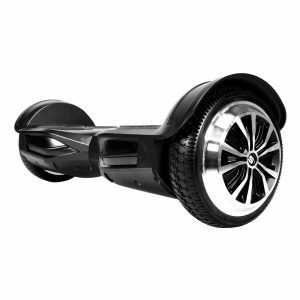 If you’re looking for looking for the best hoverboard for the streets the Swagtron T3 hands down one of the best around. Whether grass, dirt, gravel or wet surfaces, the Gyroor G2 is one of the best and most affordable all-terrain hoverboards on the market today. 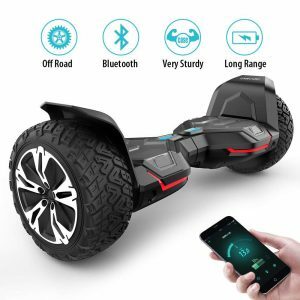 This is an extremely durable hoverboard that was designed with the perfect combination of UL approved materials which guarantees a very durable and safe hoverboard that will stand the test of time. The self-balancing technology used for this rugged hoverboard makes it very safe and easy to ride and it can handle a maximum load of 256pound. It has a top speed of 9.5mph and will cover a 9-mile range on a single change. With the included Bluetooth speaker you will be able to listen to your favorite music no matter where your journey takes you whether on-road or off-road. 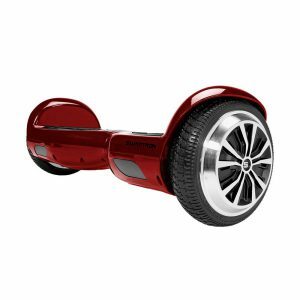 Segway has been one of the biggest and most popular names in the hoverboard market for past 10 years. They make some of the best electric scooters/ hoverboards on the market today and this the Segway MiniPRO is one the best ones yet. 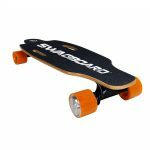 This powerful hoverboard has a different design than most of the other hoverboards on the market thanks to the padded knee control bars and adjustable height which makes it very stable, comfortable and easy to maneuver. It has a top speed of 10mph thanks to a powerful 800W motor and it also has an impressive battery that can take you on a 12-mile journey on a single charge. 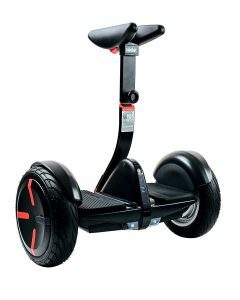 Using the Segways Bluetooth app will allow you to control the hoverboard, provide anti-theft security, control the LED lights and software updates. 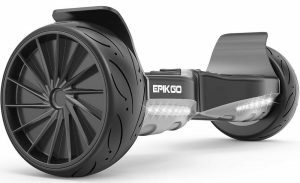 The EPIKGO Sport is hands down one of the fastest hoverboards on the market. It has a 400W motor that’s paired with two 8-inch alloy racing tires which makes this hoverboard 80% faster than its competitors. This very powerful hoverboard will accelerate up 18-degree slopes with relative ease and its IP65 certification means it will handle mud and sand. You’re able to ride around for over an hour on a single charge and travel up to 10 miles. There’s also LED lights to help you see on your nighttime adventures. Each purchase comes with a 1-year limited warranty that covers parts and labor from the manufacturer. The Hoverheart hoverboard is one of the best affordable self-balancing scooters on the market. If you’re on a small budget and your look for a very affordable and reliable self-balancing scooter, this Hoverheart hoverboard is a great option. This scooter is perfect for both kids and adults and will support a 220-pound rider. 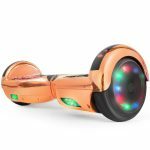 It has all the essential features that most of the more expensive hoverboards have like, LED Lights, Bluetooth speakers, and speed control. The scooter can reach a max speed 10mph and travel over 10 miles on a single charge. The Hoverheart is excellent value for money. This Skque X1 has professionally tuned gyro sensors that help to deliver a very smooth ride. It boasts a 700W motor with a max speed of 7.45 mph and it will travel up to 20km. The X1 has an enhanced chassis that can handle a 256 pounds rider with no issue. 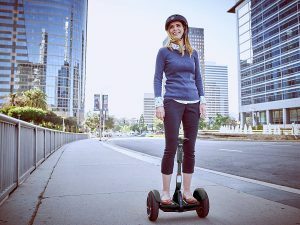 Like most of the other hoverboards on this list, the Skque has built-in Bluetooth speakers so you’re able to connect wirelessly to your smartphone and listen to your favorite music while you cruise around. There’s also a pair of LED lights at the front that allows you to cruise around at nights in style. Skque also provides a 1-year limited warranty that covers parts and labor. Have your say below if you have purchased any of these awesome Hoverboards, please share your experience with us. 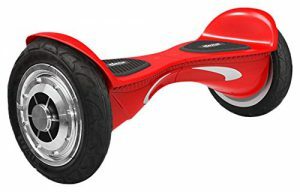 If you have any questions about these or any other hoverboard please comment below. Thank you for your warm admiration and great appreciation for our work.